I bought this book recently after borrowing it from my local library. It has a number of very useful recipes and step-by-step photos and clear, concise instructions on nearly all the subjects covered in the book. Sugar paste, marzipan, icing, covering cakes and lots more are covered in the book. I would recommend this book to beginners especially for all the info it contains. 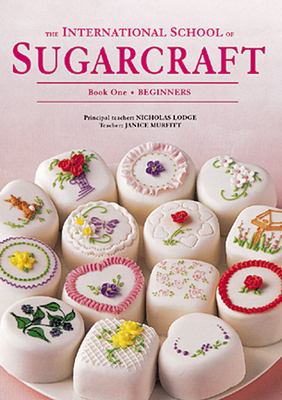 Nicholas Lodge captures everything a beginning cake decorator would need to know in this book. Lodge begins by first explaining the initial equipment you will need to begin decorating. He then goes on to explain simple decorations and ending with beginner instructions on modeling with sugarpaste. Lodge uses simple terms to explain all his instructions, using pictures and step by step detail in simple language on how to do everything in this book. Also included within this book are recipes to make all the cakes that he shows. This is one of the most imformative books on cake decorating that I have ever read. I was given this book 2 years ago, and still use it every time I decorate a cake. I would recommend that all beginner cake decorators purchase this book.